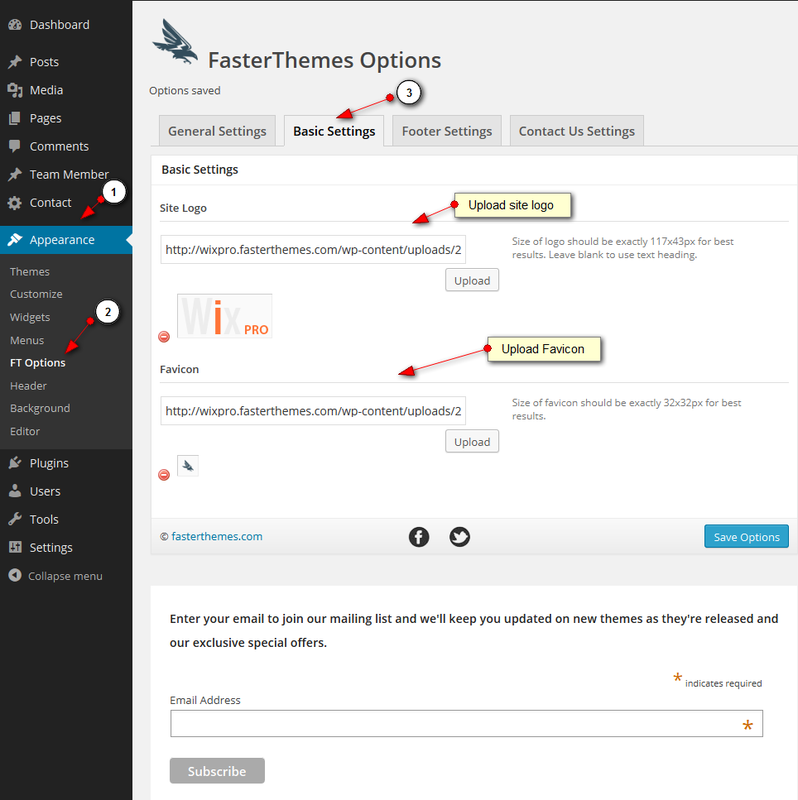 From general settings you can choose theme color, background color and theme fonts. 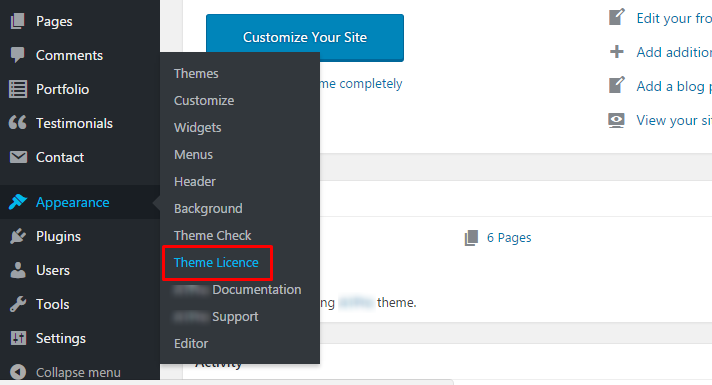 From here you can make basic changes to the website like uploading a logo and favicon. From logo option you can upload a new logo or can replace existing logo. 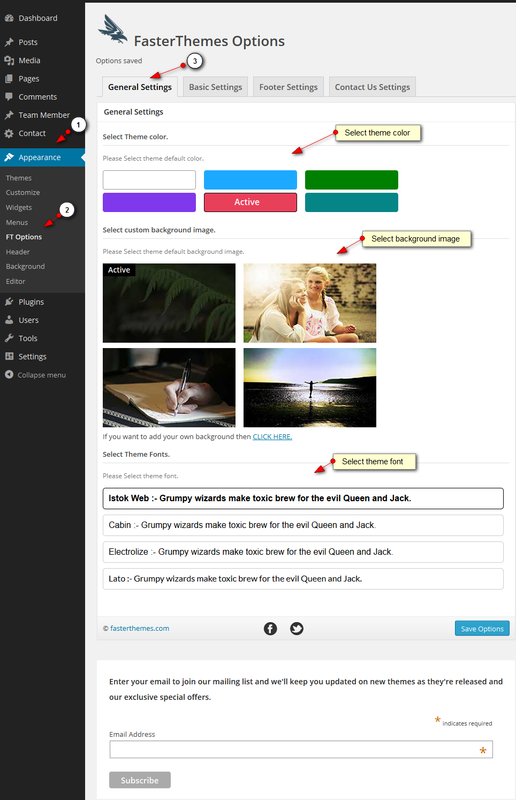 Once you click on upload it allows you to choose a logo from wordpress media library or from your computer. 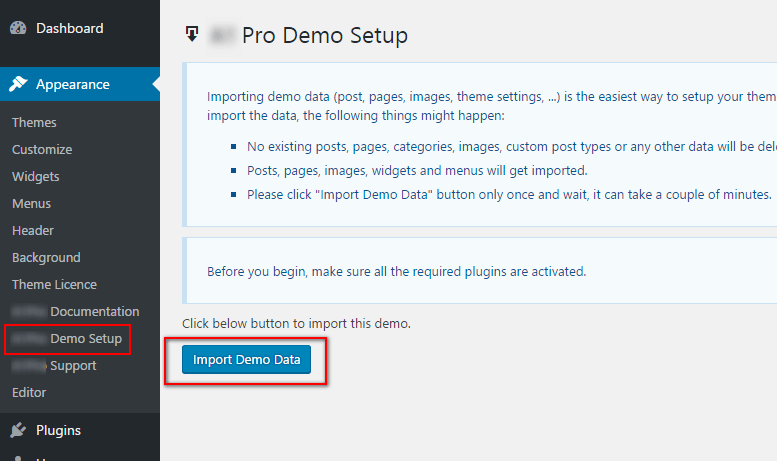 You need to click on select file option then it will upload image from your computer to wordpress image library and you can set up your logo. From favicon option you can set favicon for the website. You can upload .ico file to set favicon. 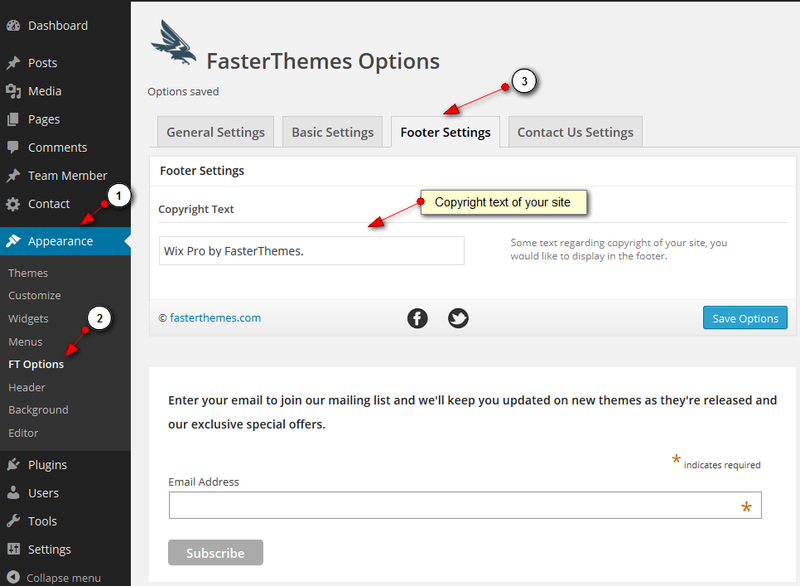 Footer settings allow you to change copyright text. 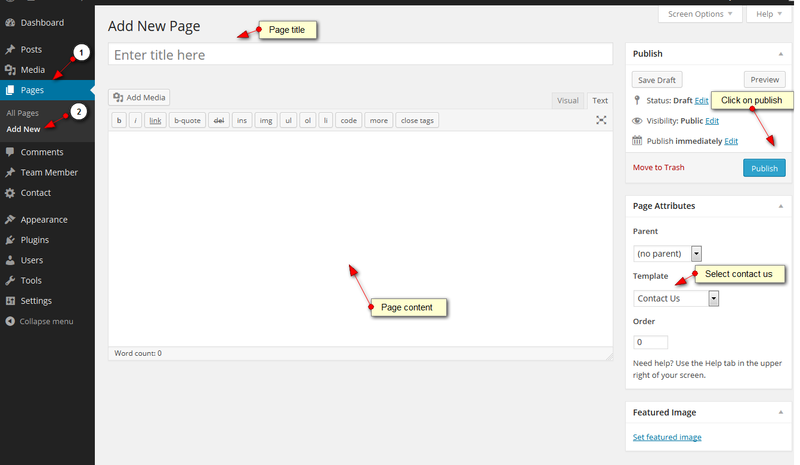 To add other pages for your website, simple go to ‘Pages’ option, click on ‘Add new’ and select page template type from available template options. You can follow below steps for creating contact us page. 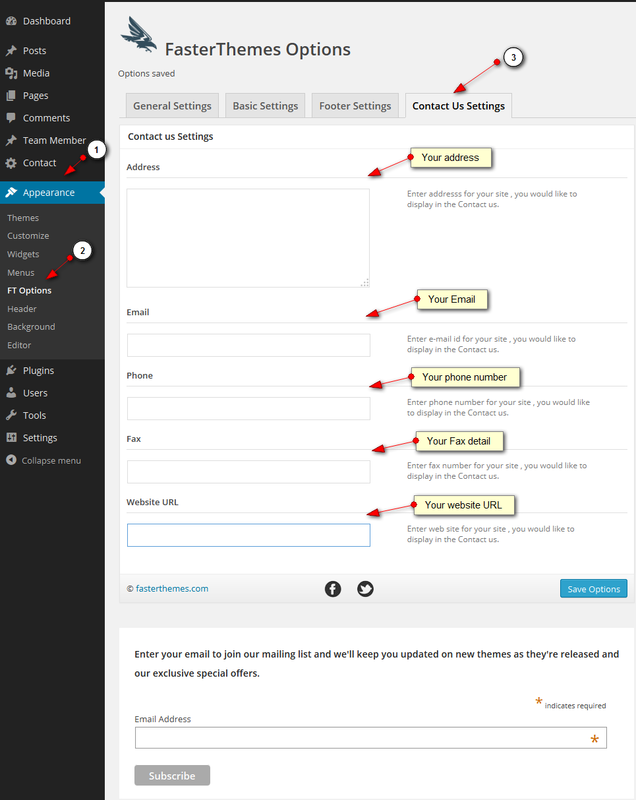 After creating contact us page you can set contact us settings from here. Website visitors will be able to see these details by going on contact us page. 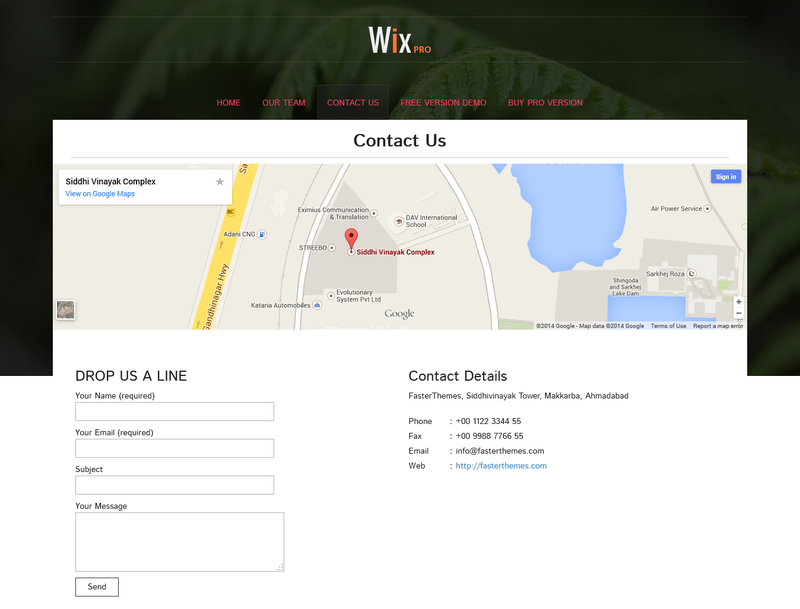 After entering you contact details in back end all details will appear in front end in contact us page. You can create our team page to display team of your organization. You can display team category wise. Like web design, graphic design etc… Once you setup from back end you can see our team page in front end. 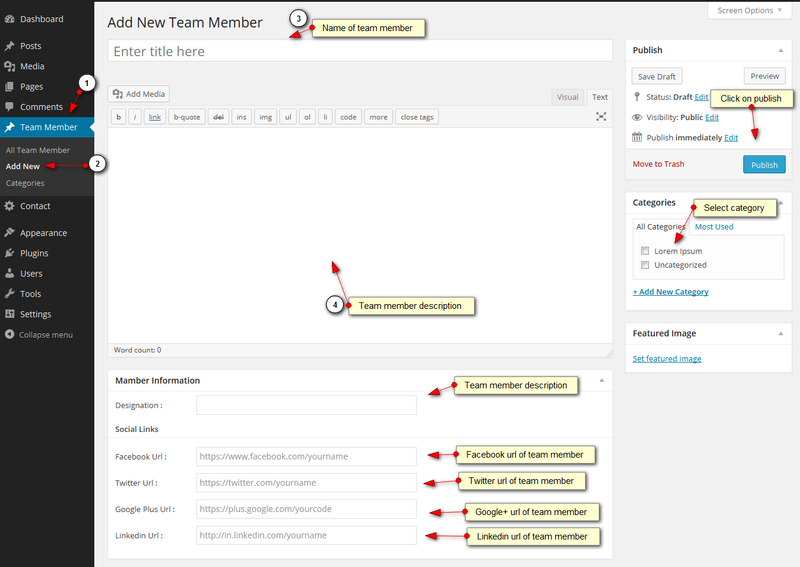 From here you can add category for out team page. From here you can add team member. You can add members in particular category. From here you can see list all your team members in back end. 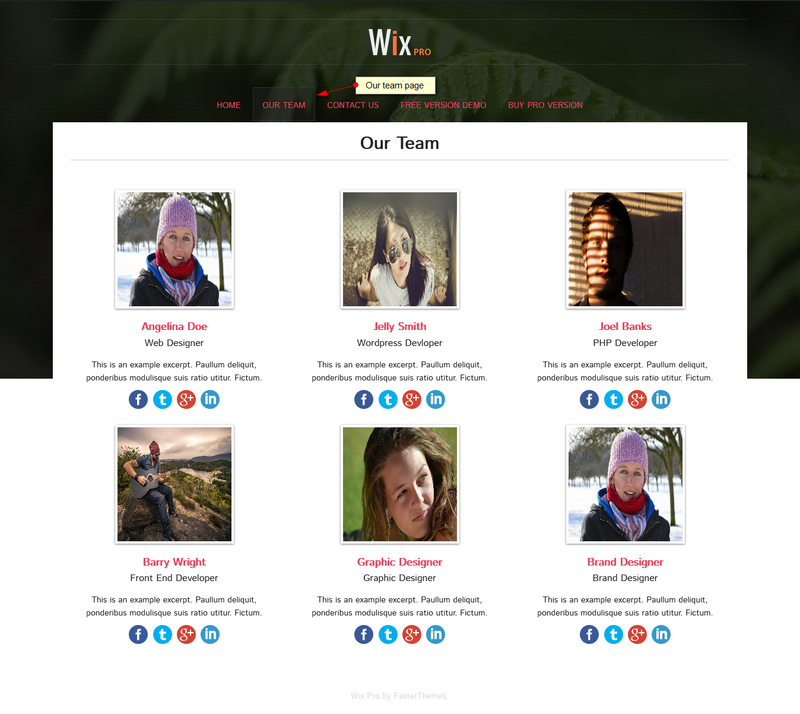 You can see below all team members will appear in Our team page in front end.